Mood rings have been a staple of New Age spiritualism for decades. 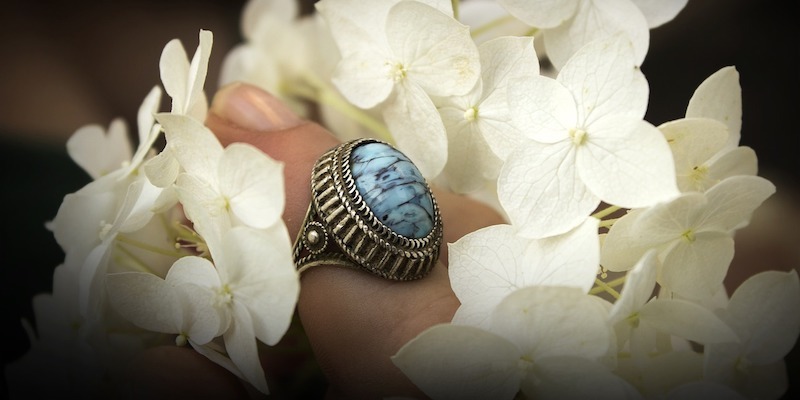 Whether you’re a true believer or simply interested in the novelty factor, the history and science behind mood rings are a fascinating look into the connections between our bodies and our emotions. 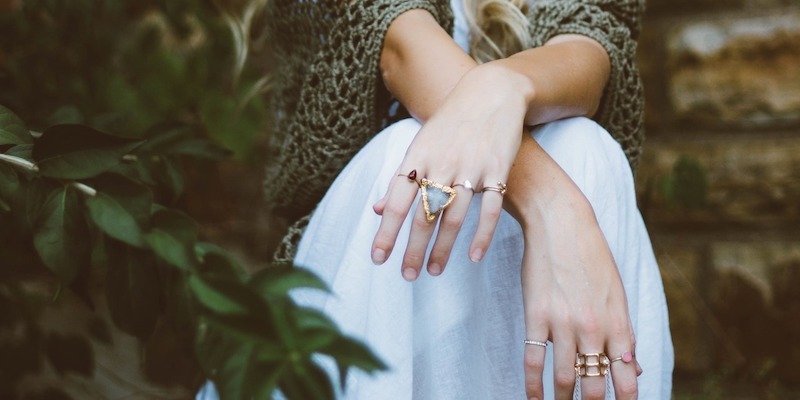 Here’s everything you need to know about mood rings and how you can make the most out of them. Black: Anger, fear or apathy. The ring reverts to black when it exhausts its crystals, but wearers who see black while it’s still in use are often overworked or depressed. Yellow: Mixed or conflicted emotions. Yellow rings could suggest ambivalence, mild anxiety, or distraction. Orange: Upset. The same basic feelings with yellow are amped up when the ring turns orange, and it often suggests nervousness, stress, or confusion. Light Green: A modest but unconcerning level of anxiety. Light-green could suggest mild jealousy or stress, or it could suggest a guarded or alert demeanor. Green: Relaxed. Green is typically seen as the default color for most wearers, and it demonstrates stable emotions free of excessive negative or positive feelings. Blue: Upbeat. A blue ring is typical of someone who’s feeling in positive spirits but not overcome from an excessive tide of emotions. They could be optimistic and amiable but are still generally driven by rational thought. Dark Blue: Content. The dark-blue hue connotes that the inner sense of optimism has been fulfilled and translated into a degree of self-satisfaction. Wearers with dark blue rings are happy with their state of affairs and more prone to welcoming and generous behavior. Violet: Romantic. Violet often appears in the presence of a crush, a lover, or an artistic passion. They may be moody, sensual, or mischievous, and that can lend a level of unpredictability to their decision making. Pink: Infatuated. The level of heat given off when the ring shows pink denotes a person overcome by strong emotions. While that could manifest as anger, it’s more likely a sense of being overjoyed, in love, or even overcome by curiosity. While younger people may think of mood rings as cheap novelty items found in gum ball machines, that’s ultimately a bastardization of their origins. While there’s some ambiguity regarding the birth of the mood ring, the prevailing history is that it was first created in 1975 by a pair of enterprising inventors. 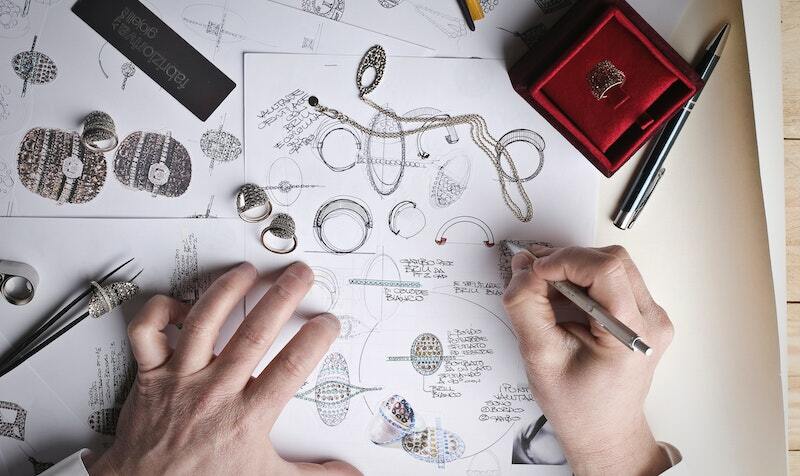 Maris Ambats and Josh Reynolds created the rings as legitimate pieces of jewelry and marketed them to the retail giant Bonwit Teller. Unlike the cheap plastic variants that would become popular in the following decades, these mood rings were well made and came with a price to match. Silver rings costs $45 at retail, while the gold variant clocked in at $250. It was an undeniably smart decision on the part of Bonwit Teller. The rings quickly gained popularity, with Reynolds managing to sell over $1 million worth of the rings in the first three months. That success was partly accelerated by their adoption from celebrity figures. Barbra Streisand, Muhammad Ali, and Sophia Loren all bought in to the mood ring pitch, and the rings became an emblematic symbol of 1970s. But with popularity came a flood of competitors. Other prominent jewelers began producing their own variations of the mood ring, and by the 1980s, the sale of cheaply produced plastic mood rings dwarfed the more classic variants. While the mood ring may have eventually earned a reputation as a passing fad, they frequently circulate back into the public consciousness, and there are still a number of companies that produce high-quality and fashionable variants of the traditional mood ring model. Some see the success of the mood ring as endemic of the self-obsession of life in the 1970s, but many see the mood ring as a meaningful talisman and a gateway towards self-understanding and a more mature sense of emotional expression. While some may be skeptical of how accurately mood rings can actually determine your emotions, these pieces of jewelry do have some strong basis in scientific theory. The colors you get when you rub the surface aren’t random, and while scientists are hesitant to say that mood rings can precisely determine your state of mind, they are a good barometer for your body’s reactions. But understanding why means understanding the science behind a mood ring’s construction. Mood rings are typically constructed in one of two ways. Either a glass shell is filled with thermotropic liquid crystals or a small sheet of these crystals are covered with a clear glass stone. Chances are very likely that you’ve seen the scientific wizardry of such crystals in action before. Color-changing crystals form the basis for LCD televisions. The reason they’re such an effective choice for TV displays and for mood rings is that they’re incredibly responsive to temperature changes. Even the most minuscule fluctuation in temperature alters their molecular makeup, and that changes the wavelengths of light that are absorbed or reflected by the crystals. The result is the illusion of changing color along the surface of these crystals (and along the glass that contains them). While the physics of lightwaves may be exceedingly complex, the methodology that goes into determining what colors reflect which moods are eminently simple. It’s just a matter of figuring out what temperature change a different color denotes and figuring out how that temperature change reflects the body’s autonomic response. The surface temperature of the human body can be a significant indicator of how the body reacts to internal stimuli like stress and excitement. Think about the temperature change that rises to your cheeks when you blush or the way your hands get wet and clammy when you’re nervous. Mood rings may have long been marketed on the notion of quasi-mystical and spiritual practice, but they’re founded on a strong and legitimate understanding of human biology. As long as users can recognize that there are limitations to how much mood rings can determine your emotional and mental state, they can be a valuable tool for recognizing the fluctuations of your inner self. If you’ve ever had a TV burnout from overuse, you’ll understand that the crystals powering mood rings aren’t infinite and inexhaustible. They tend to slowly lose their effectiveness over time, and even the most well constructed mood ring will eventually take on a permanent black hue. A mood ring won’t last as long as a quality LCD TV, and its lifespan will vary some depending on how much you use it, but you can still expect any decent mood ring to have a respectable shelf life. A mood ring in regular usage should last at least a couple years, and many can be expected to continue serving their purpose for half a decade. Few if any mood rings from the 1970s or even the 1980s are still functioning as they should. It’s important to note that how you care for your mood ring can have a significant impact on how long it continues to have use. Water damage can quickly ruin a mood ring. The crystals that allow for the color change effect are enclosed for a reason, and any bit of water seeping through the surface can quickly disrupt the ability of the crystals to reflect and absorb light. Heat can also cause significant damage to the stone, so it’s important to leave your ring in dry, room temperature spaces whenever possible.